Today we welcomed Natalie Harrison, the Stannator for Plympton, to present a trophy to one of our pupils. The Stannator wanted to mark the Centenary of the ending of World War 1 by donating a trophy to the school which could be presented to students for many years to come. The trophy is engraved 'Lest we forget' and aims to remind the children who are our future of this important time in history. Natalie was keen that the trophy be presented for bravery, going beyond or for caring acts, rather than for academic achievement. Mrs Ottewell chose Sophie in Year 2 to be awarded the trophy this year. In January this year, Sophie was admitted to hospital following a seizure. On further investigation, Sophie was found to have a brain tumour which was causing the seizures. Sophie was admitted to Bristol Royal Hospital for Children where she underwent an operation to remove the tumour. The operation was a success and Sophie began the process of rehabilitation, returning to school later in the year. The operation has left Sophie with some residual mobility issues. She has had to teach herself skills again such as walking and writing, and can get very tired from the effort of doing things which she used to do without a second thought. Throughout all of this, Sophie has always had a smile on her race and bravely faced the changes in her life without complaint. Sophie's parents and grandparents were invited to Worship on Friday 14th December, attended by the Stannator and many of the school's families. She had not been told about the award and was delighted to receive it. 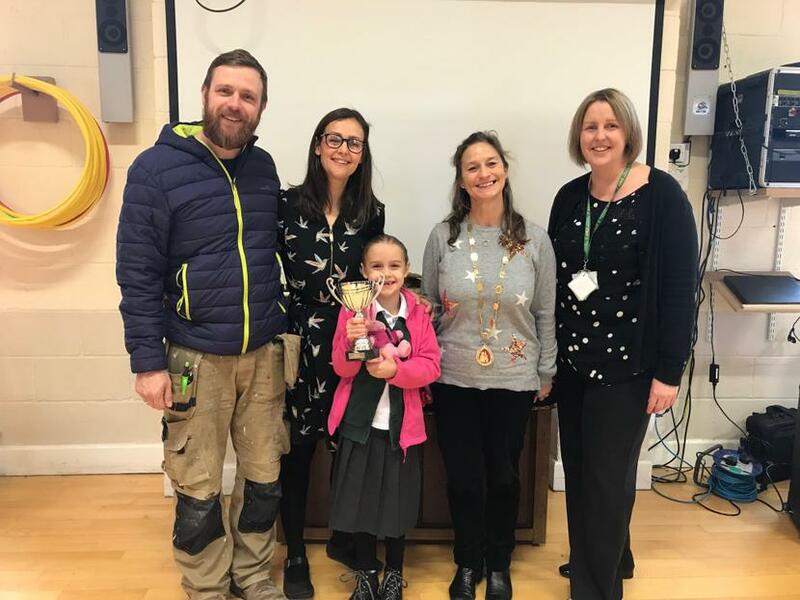 We cannot think of a more worthy recipient for the trophy and are proud of all she has overcome and the way that she consistently demonstrates such resilience and all of our school values. Well done Sophie!